Sydney summers have been assailed by eccentric weather in recent times – true to form our inbound flight dodges and weaves through storm fronts, thunderclouds and a myriad of flights diverted to Melbourne and Canberra. While we are lucky to overnight in a sodden Sydney, the next morning dawns crisp and glorious, and we take to the air again shortly after sunrise, winging east from Kingsford Smith out over the Pacific. It is just a two hour flight from Sydney to Lord Howe Island, in a diminutive Dash 8, with just a dozen other passengers aboard. As it turns out, our half empty flight has not occurred by chance – we learn shortly after boarding that this flight has been “weight restricted” due to the inclement weather expected at Lord Howe Island (and thank our lucky stars that we were not among the “chosen ones” to be bumped from the flight!). The thunderstorms of Sydney are moving east, as are we, and are now causing downpours near Lord Howe Island. Sure enough, just minutes from our expected arrival time, the cloudless blue sky darkens with ominous grey rainclouds, disconcertingly low to the ground. The turquoise lagoon unfolds beneath us, but the island’s famous peaks are shrouded down to their foothills. The pilot circles, banking and accelerating, buffeted by crosswinds that are whipping the water below into a very un-lagoon-like swell. The ocean feels very close on one side, while the mountain feels very close on the other, but the final touchdown is as smooth as can be, under the circumstances. And just a moment later, we are disembarking onto the tarmac at Lord Howe Island Airport. We are first off the plane, and approach the small wooden gate to the petite terminal. An enthusiastic woman opens it for us and greets us – “Welcome to Lord Howe Island. Where are you staying?” “Capella” we chime in unison. “Fantastic,” she says. “I’m Libby. You’ll be coming with me.” We head in to the terminal to await our luggage and other guests. It turns out neither are necessary – we are Libby’s only guests on this flight, and our luggage “will be taken care of”. We are soon ensconced in Capella’s private vehicle, for the short drive to the lodge, punctuated with anecdotes and information from our charming host Libby. Breakfast awaits us at Capella, the chefs having kindly stayed open later than usual to accommodate our arrival. Coffees and fresh squeezed juices materialise, whilst we peruse a menu of chef’s specialties and the generous breakfast bar. Over a chia porridge and an eggs benedict, Libby introduces us to the laidback life awaiting us at Capella – the opportunity to do as much or as little as we like, accompanied by copious cocktails and decadent dining, and perhaps a spa treatment or two. Activities can be organised with any of the local tour companies, and snorkelling gear and bicycles are at our disposal. The team at Capella are delighted to host us, and nothing is too much trouble. A seafood barbecue on a local beach – no problem. Private picnics under the palms – done. More wine in our complimentary mini-bar – consider it sorted. Ride into town but don’t feel like riding back – no worries, Capella will be there to collect you in minutes. While breakfasting, the winds dissolve the cloud cover, and soon the emerald green slopes of Mount Gower and Mount Lidgbird emerge – craggy rock-faces interspersed with lush jungle all the way to their sheer summits. We are immediately smitten. It is impossible not to relax while contemplating the view from Capella – the twin peaks soar above the sparkling lagoon, while rolling waves crash against the cliffs at their bases. As the sole Lord Howe property south of the airport, Capella is the only accommodation that can boast this hypnotic view, and the lodge’s design takes full advantage of this bounty. In the restaurant, which doubles as reception and communal bar, high ceilings and expansive glass windows ensure the view is inescapable. The wraparound deck and plunge pool blur the boundary between indoors and outdoors, and are the perfect location for sunset canapés and cocktails, which take place each evening from 6pm. Capella’s rooms, just nine in total, stretch in a gentle crescent behind the main building, ensuring each has an uninterrupted view of the same mesmerising vista. Our room, a Lagoon Loft, enjoys the view from its downstairs living area, its private hot tub, and, most fantastically, its upstairs bedroom, where the entire frontage is composed of sliding glass doors for a wall-to-wall panorama. Our balcony, nestled amongst the surrounding palms, is the perfect place to watch the clouds roll over the mountain peaks, accompanied by the sounds of the waves crashing on the shore nearby and the calls of birds in the trees. The villa is small but spacious, with an airy, light-filled design – white timber walls and bright furnishings give the room a feeling of modern beach-house chic. The bathroom is tiled in stylish black basalt, with a double shower and divine Capella Spa toiletries. In the downstairs living area, oversized couches and lounge chairs provide plenty of options for sprawled relaxing, while the sound system and aromatherapy burners add to the ambience. There is a TV (with Foxtel) and DVD player, and reasonably fast wi-fi (although high-bandwidth sites, such as Netflix, are blocked). The in-suite bar, included in the room rate and restocked daily, is a foodie’s delight – containing not just beer and wine, but juices, coconut water, chocolates, cheese, cookies, nuts, muesli bars and crisps. A nespresso machine (with milk frother) and a plethora of gourmet teas are also available. And in the upstairs bedroom, there is a comfortable king bed, perfectly positioned to make the most of the view at all times of the day or night – and the absence of light pollution on Lord Howe makes the island a mecca for stargazing. While not air-conditioned, louvered windows at the front and back of both levels means breezes keep the villa cool, and there are additional fans for particularly sultry days. Also present in the villa is a wealth of information about Lord Howe Island, and numerous glossy publications to inspire you on to your next luxury holiday in Australia (as alluded to above, Capella Lodge is one of the original Luxury Lodges of Australia and part of the renowned Baillie Lodges Group). Thoughtfully, the lodge also provides backpacks, so you can stock up on provisions from your mini-bar and hit the trails or beaches for the day. But similarly, if the thought of carrying your towels and snorkelling equipment is too much to contemplate in your chilled-out state, Capella will drop your gear at your destination for you, so you can cycle or walk unencumbered by such practicalities. Capella Lodge ethos is to ensure a relaxing stay in paradise. The ethos of Capella is to ensure a relaxing stay in paradise. Long-time managers Libby and Mark treat you as a guest in their home, and can provide a wealth of information about the island and potential activities, but encourage you to do as much or as little as you like. Similarly, the front of house team are welcoming, enthusiastic and knowledgeable – special thanks to Cal (formerly of Wildflower, one of our favourite restaurants in Perth) and David (of Longitude 131), for making everything a breeze, with their laidback efficiency and organisation. Bicycles, snorkelling gear, pick-ups and drop-offs – all arranged seamlessly. We cycled and hiked over much of the island, snorkelled in the lagoon and the ocean, and fed fish at Ned’s beach (see our upcoming review of Lord Howe Island activities). And as our Smith Extra for booking with Mr & Mrs Smith was a picnic BBQ, we took advantage of this one lunchtime after an energetic morning of snorkelling – Capella advised us of a great location, and we arrived to find a picnic table set with tablecloth and cutlery, and three eskies of drinks, meats, seafoods, salads, bread rolls and brownies, plus BBQ tools, matches and kindling to cook our decadent oceanside feast. Capped off by a post-prandial swim with a giant green turtle, it was hard to beat. Back at Capella, the room rate includes breakfast and dinner, as well as all alcoholic and non-alcoholic drinks from the bar (except a small range of premium wines). Breakfast is served from 8am to 10am, and includes coffee, freshly squeezed juice and a small buffet of cereals, fruit, toast and cold cuts, plus hot choices from the kitchen – the usual suspects of eggs and sides, plus more eclectic options, such as a breakfast bowl of grains and vegetables, and a chia pudding with honeycomb and roasted fruits. In our five day stay, all were tasted, and all were delectable. In the evening, dinner is served from 7pm, but guests are encouraged to join fellow lodgers on the deck from 6pm, to watch the sun set over the ocean, with an expertly made cocktail in hand. Bite-sized canapes make the rounds, hardly necessary given the decadent meal about to follow, but too delicious to resist. Once the sun has dipped below the horizon, and stars begin to speckle the sky, guests move indoors to contemplate the dinner menus. Each evening features two menus – one a range of entrees, mains and desserts that changes daily, and the other a consistent menu of modern classics. And one night per week, there is a seven course degustation menu. We found all the meals at Capella to be excellent – expertly prepared and beautifully presented, designed specifically to utilise local produce and minimise the difficulties of the distance from the mainland. 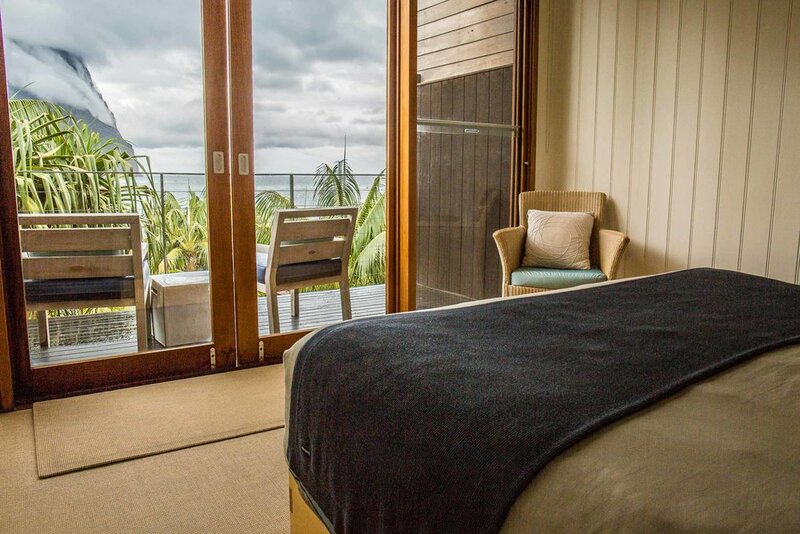 Capella Lodge on Lord Howe Island is an intimate luxury lodge in a beautiful destination, a perfectly executed blend of casual elegance and luxurious sophistication. We thoroughly enjoyed our stay, and can’t recommend it highly enough to any adventurous discerning traveller. § Capella Lodge is part of the Baillie portfolio of lodges, which also includes Southern Ocean Lodge on Kangaroo Island, Longitude 131 at Uluru and the newly acquired Silky Oaks Lodge in the Daintree. § There are 9 suites in 5 different types – Capella Suites are single story with a deck, while all others are double story and have either a hot tub or a plunge pool. All are beautiful. § Lord Howe Island is located 700km north-east of Sydney. To learn more about Lord Howe Island see our recent post How to Enjoy Australia’s Lord Howe Island. § There are direct flights from Sydney to Lord Howe Island with QantasLink, with 1-3 flights per day. Flights take 2 hours and 5 minutes. There are also direct flights on Sundays from Brisbane. § It should be noted that the QantasLink flight employees a strict 14kg weight limit. And we mean strict! One of our bags was 14.7kg, and we had to remove contents to be able to check it. § Because they are so strict with the weight limit, all customers must check-in at the airport counters in Sydney, rather than online check-in or self check-in. 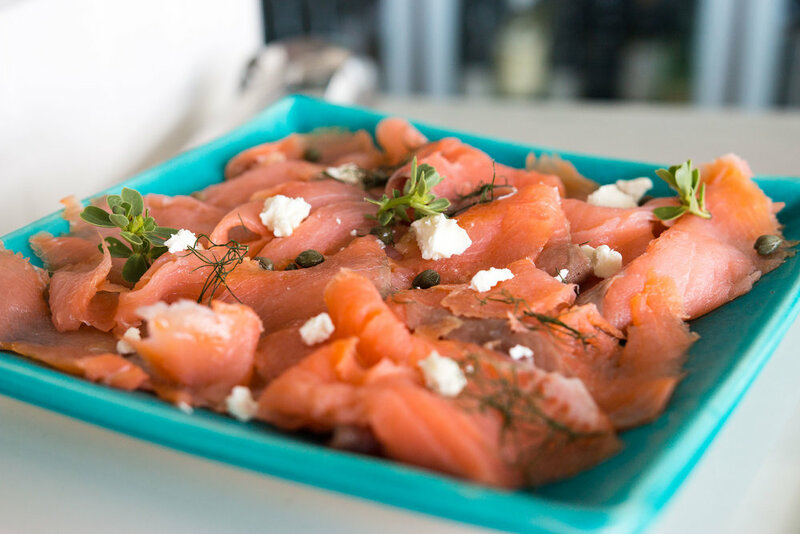 § Rates at Capella include breakfast, sunset aperitifs and canapes, multi-course dinner, alcoholic and non-alcoholic beverages and a fabulously well stocked (and replenished daily) in-room mini-bar. Lunches are extra (but to be honest, after a decadent late breakfast, the contents of our mini-bar were usually enough to keep us going until dinner!). As is often the case, we like to book through Mr & Mrs Smith for the first class treatment including some extra freebies. § Rates also include airport transfers, bicycle hire, snorkelling equipment and pickups and dropoffs all over the island. § Capella can arrange activities with any local operators, for guided walks, snorkelling excursions, glass-bottom boats and kayaking. § The Capella Spa is small but stylish, and utilises LI’TYA spa products. As there is just one therapist, consider making a reservation in advance.